The President of the United States of America takes pride in presenting the Navy Cross (Posthumously) to Colonel [then Lieutenant Colonel ] Lewis Herbert Abrams, United States Marine Corps, for extraordinary heroism as Commanding Officer of Marine All Weather Attack Squadron TWO HUNDRED FORTY-TWO (VMA(AW)-242), First Marine Aircraft Wing, and as Pilot of an A6A Intruder aircraft in Vietnam. In the early morning hours of 25 October 1967, Colonel Abrams, in the first Marine aircraft to strike at the heart of North Vietnam's Air Force, exhibited outstanding courage and presence of mind in the midst of violent combat action as he successfully completed a high-priority mission by bombing the principal military airfield in North Vietnam. A highly effective integrated complex of hundreds of radar-controlled anti-aircraft weapons, barrage weapons with steel cables extending hundreds of feet into the air, two enemy airfields with MIG interceptor aircraft, and many active surface-to-air missile sites protected every approach to his target. Acting on an urgent fragmentary order, Colonel Abrams personally took charge of the preparations for a multi-plane, multi-squadron attack against the formidably defended Phuc Yen airfield. Barely six hours before takeoff time another fragmentary order was received, modifying the previous plan and requiring Colonel Abrams to make extensive last-minute changes in navigation and attack procedures, which allowed no margin for error. With grim determination, he promptly made corrections in heading, altitude, and airspeed and accurately delivered his bombs on the runway at Phuc Yen. Under the most demanding conditions of degraded systems operation, low-level flight in mountainous terrain in darkness, and in the face of a vicious volume of anti-aircraft and guided missile fire, Colonel Abrams courageously accomplished his mission of devastating the runway at Phuc Yen. His bravery and determination throughout the bitter action were an inspiration to all who were involved and were instrumental in accomplishing this crucial mission. By his intrepid fighting spirit, daring initiative, and unswerving devotion to duty, Colonel Abrams reflected great credit upon himself and the United States Marine Corps and upheld the highest traditions of the United States Naval Service. The President of the United States of America takes pleasure in presenting the Navy Cross to Major Kent C. Bateman (MCSN: 0-73614), United States Marine Corps, for extraordinary heroism as a Pilot of an A6A Intruder Aircraft with Marine All Weather Attack Squadron FIVE HUNDRED THIRTY-THREE (VMA(AW)-533), First Marine Aircraft Wing, in the Republic of Vietnam on 25 October 1967. Assigned the mission of attacking a heavily defended airfield complex, Major Bateman launched his aircraft that night. Aware of the intense enemy surface-to-air missile fire, he formulated and executed a plan to penetrate the hostile defenses. Exposed to interception by enemy fighters at high level, he descended on instruments to minimum altitude. Maneuvering his aircraft over and around treacherous and uncertain terrain, he successfully pierced the enemy's outer missile ring and penetrated deep within his inner defenses. As he neared the initial attack point, Major Bateman was subjected to intense enemy tracking fire. Although losing radio contact with an electronic counter measure aircraft and realizing that it placed his aircraft and himself in serious danger, he nonetheless courageously continued his attack. Disregarding the intense enemy anti-aircraft fire and surface-to-air missiles, he completed his daring attack. By his bold initiative, gallant fighting spirit and loyal devotion to duty, Major Bateman was instrumental in destroying an enemy airfield, thereby reflecting great credit upon himself and the Marine Corps and upholding the highest traditions of the United States Naval Service. The President of the United States of America takes pleasure in presenting the Navy Cross to Lieutenant Lyle Franklin Bull (NSN: 0-643704), United States Navy, for extraordinary heroism on 30 October 1967 as a Bombardier/Navigator in Attack Squadron ONE HUNDRED NINETY-SIX (VA-196), embarked in U.S.S. CONSTELLATION (CVA-64). Exercising exceptional professional skill and sound judgment, Lieutenant Bull assisted in the planning and execution of an extremely dangerous, single-plane, night, radar bombing attack on the strategically located and heavily defended Hanoi railroad ferry slip in North Vietnam. Although the entire Hanoi defensive effort was concentrated upon his lone bomber, he flawlessly assisted his pilot in navigating the aircraft to the target area and commencing an attack. Seconds before bomb release, six enemy surface-to-air missiles were observed to be tracking on his plane. Undaunted by this threat to his personal safety, Lieutenant Bull assisted his pilot in taking swift and effective action to avoid the missiles and complete the attack, releasing all weapons in the target area with extreme accuracy. After release, four more missiles were fired at his aircraft in addition to the intense anti-aircraft-artillery fire. In spite of this intense enemy opposition, Lieutenant Bull completed his mission and was directly responsible for dealing a significant blow to the North Vietnamese logistics efforts. His indomitable perseverance and conspicuous gallantry were in keeping with the highest traditions of the United States Naval Service. The President of the United States of America takes pleasure in presenting the Navy Cross to Major Fred J. Cone (MCSN: 0-71439), United States Marine Corps, for extraordinary heroism in action against the enemy while serving as a Pilot of an A6A Intruder Aircraft with Marine All Weather Attack Squadron TWO HUNDRED FORTY-TWO (VMA(AW)-242), in the Republic of Vietnam on 25 October 1967. Assigned the mission of attacking an airfield deep in enemy controlled territory, Major Cone coordinated and led the second flight of four aircraft in a coordinated three flight strike attack. He led his flight across rugged terrain with no navigational aids. Skillfully navigating to the exact letdown point, he began his descent to evade enemy radar. Undaunted by the intense enemy anti-aircraft fire, he skillfully maneuvered his aircraft towards the objective. Major Cone's surface-to-air missile warning device indicated that a missile had been launched. He banked his Intruder into a head-on collision course and with split second timing, snapped the aircraft down and away from the missile so that it exploded harmlessly in the air. Observing a second missile being launched, he skillfully avoided it 300 feet above the ground. While nearing the target and engulfed in intense enemy ground fire, he encountered a third and fourth missile. Utilizing the same tactics, he skillfully avoided the third missile, however, the fourth missile exploded above his aircraft tossing it into a violent maneuver. Although his plane was damaged, Major Cone continued on his course. Quickly putting his aircraft into a steep climb so that safe separation from the blast of his bombs could be achieved, he dropped four and one-half tons of ordnance, devastating the target. While turning outboard, he encountered a fifth missile. Quickly assessing the situation, he jettisoned his drop tanks to gain speed and maneuverability, thus avoiding the missile. By his bold initiative, devotion to duty and superb aeronautical skill, Major Cone was instrumental in destroying an enemy airfield, reflecting great credit upon himself and the Marine Corps and upholding the highest traditions of the United States Naval Service. The President of the United States of America takes pleasure in presenting the Navy Cross to Rear Admiral [then Commander] Jeremiah Andrew Denton, Jr. (NSN: 0-485087), United States Navy, for extraordinary heroism while serving as a Prisoner of War in North Vietnam from February 1966 to May 1966. Under constant pressure from North Vietnamese interrogators and guards, Rear Admiral Denton experienced harassment, intimidation and ruthless treatment in their attempt to gain military information and cooperative participation for propaganda purposes. During this prolonged period of physical and mental agony, he heroically resisted cruelties and continued to promulgate resistance policy and detailed instructions. Forced to attend a press conference with a Japanese correspondent, he blinked out a distress message in Morse Code at the television camera and was understood by United States Naval Intelligence. When this courageous act was reported to the North Vietnamese, he was again subjected to severe brutalities. Displaying extraordinary skill, fearless dedication to duty, and resourcefulness, he reflected great credit upon himself, and upheld the highest traditions of the Naval Service and the United States Armed Forces. 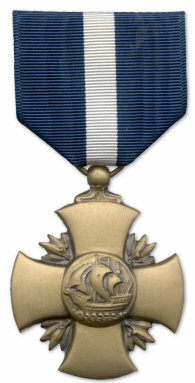 The President of the United States of America takes pride in presenting the Navy Cross (Posthumously) to Lieutenant Commander [then Lieutenant] John Gary Griffith (NSN: 0-580219), United States Navy, for extraordinary heroism in aerial flight on 24 February 1968 as a naval flight officer in Attack Squadron THIRTY-FIVE (VA-35), embarked in U.S.S. ENTERPRISE (CVA(N)-65). As leading Bombardier/Navigator, Lieutenant Commander Griffith flew on a night air strike against a vital and heavily defended port facility in the heart of North Vietnam. Navigating his aircraft at perilously low altitudes in the monsoon weather, he successfully penetrated intense and accurate enemy defenses en route to the target. Disregarding the threatening surface-to-air missiles and anti-aircraft artillery defending the target area, Lieutenant Commander Griffith maintained a steady radar tracking of the target until bomb release, thereby ensuring an optimum bombing solution. Because of his daring and highly professional navigation and radar-bombing skill, his bombs found their mark, inflicting heavy damage upon the port facilities. By his technical competence, courage, and loyal devotion to duty in the face of intense enemy opposition, Lieutenant Commander Griffith contributed materially to United States efforts in Southeast Asia and upheld the highest traditions of the United States Naval Service. The President of the United States of America takes pleasure in presenting the Navy Cross to Lieutenant Commander Michael Richard Hall (NSN: 0-628949), United States Navy, for extraordinary heroism on 24 February 1968 as a Bombardier/Navigator in Attack Squadron SEVENTY-FIVE (VA-75), embarked in U.S.S. KITTY HAWK (CVA-63), and launched from U.S.S. ENTERPRISE (CVA(N)-65) in a joint attack with Attack Squadron THIRTY-FIVE. Lieutenant Commander Hall participated in a coordinated, night, low-level strike against the heavily defended port facilities within the city of Hanoi, North Vietnam. Soon after launching, serious systems difficulties developed in his aircraft. Through the professionalism and determination of Lieutenant Commander Hall and his pilot, this discrepancy was overcome and they rejoined the flight to continue the attack. En route to, and in the target area, extremely heavy and accurate anti-aircraft fire was encountered and the aircraft received a hit in the left wing. Notwithstanding this battle damage, Lieutenant Commander Hall aggressively navigated his aircraft to the target through multiple surface-to-air missile attacks which were successfully evaded through extremely low-altitude maneuvering. He then delivered his ordnance directly on the target. During egress from the target area, he again came under an intense attack from surface-to-air missiles and was forced to maneuver violently at very low altitude. One missile was seen to explode aft and below his aircraft, buffeting it violently. By his daring action, exceptional skill, and loyal devotion to duty in the face of intense enemy opposition, Lieutenant Commander Hall upheld the highest traditions of the United States Naval Service. The President of the United States of America takes pleasure in presenting the Navy Cross to Commander [then Lieutenant Commander] Charles Bryan Hunter (NSN: 0-584531), United States Navy, for extraordinary heroism on 30 October 1967 as a pilot in Attack Squadron ONE HUNDRED NINETY-SIX (VA-196), embarked in U.S.S. CONSTELLATION (CVA-64). Exercising exceptional professional skill and sound judgment, Commander Hunter, planned and executed an extremely dangerous, single-plane, night, radar bombing attack on the strategically located and heavily defended Hanoi railroad ferry slip in North Vietnam. Although the entire Hanoi defensive effort was concentrated upon his lone bomber, he flawlessly piloted his aircraft to the target area and commenced his attack. Seconds before bomb release, six enemy surface-to-air missiles were observed to be tracking on his plane. Undaunted by this threat to his personal safety, Commander Hunter took swift and effective action to avoid the missiles and then proceeded to complete his attack, releasing all weapons in the target area with extreme accuracy. After release, he guided his plane through the intense anti-aircraft-artillery fire and four additional missiles which were fired at his aircraft. In spite of this intense enemy opposition, Commander Hunter completed his mission and was directly responsible for dealing a significant blow to the North Vietnamese logistics efforts. His indomitable perseverance and conspicuous gallantry were in keeping with the highest traditions of the United States Naval Service. The President of the United States of America takes pride in presenting the Navy Cross (Posthumously) to Commander Glenn Edward Kollmann (NSN: 0-551276), United States Navy, for extraordinary heroism in aerial flight on 24 February 1968 as the Commanding Officer of Attack Squadron THIRTY-FIVE (VA-35), embarked in U.S.S. ENTERPRISE (CVA(N)-65). Commander Kollmann planned and led a night air strike against a vital and heavily defended port facility in the heart of North Vietnam. Piloting his aircraft at perilously low altitudes in the monsoon weather, he successfully penetrated intense and accurate enemy defenses. Disregarding the threatening surface-to-air missiles and the anti-aircraft artillery defending the target area, Commander Kollmann maintained a smooth, level flight path until bomb release, thereby ensuring an optimum bombing solution. Because of his daring and highly professional flying skill, his bombs found their mark, inflicting heavy damage upon the port facilities. By his airmanship, courage, and loyal devotion to duty in the face of intense hostile fire, Commander Kollmann contributed materially to United States efforts in Southeast Asia and upheld the highest traditions of the United States Naval Service. The President of the United States of America takes pleasure in presenting the Navy Cross to Lieutenant Roger W. Krueger (NSN: 0-677063), United States Navy, for extraordinary heroism on 24 March 1968 as a Naval Flight Officer in Attack Squadron ONE HUNDRED SIXTY-FIVE (VA-165), embarked in U.S.S. RANGER (CVA-61). Lieutenant Krueger served as the bombardier/navigator for the first U. S. Navy A-6A night, all-weather attack against the heavily defended and strategic Kinh No railroad yard, located on the vital northeast railroad of North Vietnam. Although encountering extremely intense enemy anti-aircraft defenses, a barrage of four surface-to-air missiles, and a near miss that forced the aircraft into momentarily uncontrolled flight and degraded his weapon system, Lieutenant Krueger continued to operate the attack system and to provide the necessary navigational and attack parameters to accomplish a successful weapons release on this vital target. 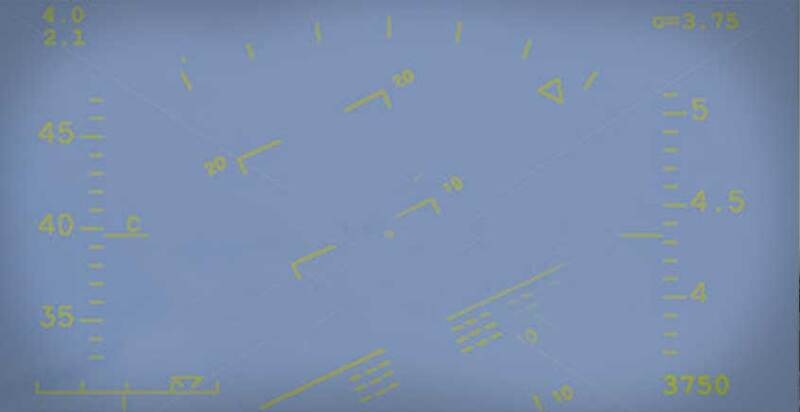 During egress, the flight encountered a line of thunderstorms and heavy enemy defenses necessitating an aerial refueling in order to safely outmaneuver these obstacles and complete the return to ship. Lieutenant Krueger's heroic actions, professionalism, and fearless devotion to duty in the face of grave personal danger were in keeping with the highest traditions of the United States Naval Service. The President of the United States of America takes pleasure in presenting the Navy Cross to Captain Eugene Barker McDaniel (NSN: 0-1319/4751406), United States Navy, for extraordinary heroism as a Prisoner of War (POW) in North Vietnam from 14 June to 29 June 1969. Due to an unsuccessful escape attempt by two of his fellow prisoners, his captors launched a vicious round of torture to single out the senior POW's who were to blame for the breakout. During these torture sessions a confession led to exposing him as the communications link between the senior ranking officer of the main prison camp and the adjacent annex detachment. He accepted the responsibility for the escape and fabricated a story of his own planned escape. After interrogation, the enemy severely tortured him in their attempt to obtain information about the organization and policies of the American POW's in the camp. Under the most adverse of conditions, he heroically resisted these cruelties and never divulged the information demanded by the North Vietnamese. His exemplary courage, maximum resistance, and aggressiveness in the face of the enemy reflected great credit upon himself and upheld the highest traditions of the Naval Service and the United States Armed Forces. The President of the United States of America takes pleasure in presenting the Navy Cross to Lieutenant Commander Robert M. McEwen (NSN: 0-632049), United States Navy, for extraordinary heroism on 30 March 1968 as a Naval Flight Officer in Attack Squadron ONE HUNDRED SIXTY-FIVE (FA-165), embarked in U.S.S. RANGER (CVA-61). Lieutenant Commander McEwen was the Bombardier/Navigator on a daring, single-airplane, night attack against the heavily defended and vital Hanoi port facility in North Vietnam. Although his aircraft developed difficulty with the inertial navigation system, Lieutenant Commander McEwen continued to navigate the aircraft to the target at an extremely low altitude and high speed over rough terrain in instrument flight conditions. While the pilot successfully evaded four surface-to-air missiles, intense radar-directed 57 and 85 millimeter anti-aircraft fire, and constant tracking and barrage automatic-weapons fire, Lieutenant Commander McEwen calmly and professionally provided accurate navigation and attack parameters to the pilot, resulting in a devastating string of bombs dropped precisely on target. During retirement from the target area, he assisted his pilot in further evasive maneuvers to avoid heavy concentrations of automatic-weapons fire. Due to a low fuel state, the pilot had to rendezvous and refuel prior to completing recovery. Lieutenant Commander McEwen's heroic actions, professionalism, and fearless devotion to duty in the face of grave personal danger were in keeping with the highest traditions of the United States Naval Service. The President of the United States of America takes pleasure in presenting the Navy Cross to Lieutenant James Wilson Pate, Jr. (NSN: 0-682598), United States Naval (Reserve), for extraordinary heroism on 24 March 1968 as a pilot in Attack Squadron ONE HUNDRED SIXTY-FIVE (VA-165), embarked in U.S.S. RANGER (CV-61). 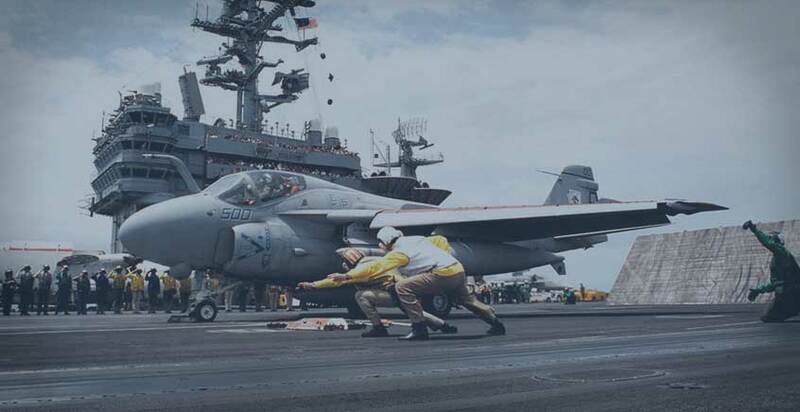 Lieutenant Pate served as the Pilot of the first U. S. Navy A-6A night all-weather attack against the strategic and heavily defended Kinh No railroad yard, located on the vital northeast railroad of North Vietnam. Although encountering extremely intense enemy anti-aircraft defenses, a barrage of four surface-to-air missiles, and a near miss that momentarily forced his aircraft into uncontrolled flight, Lieutenant Pate continued to press his attack and succeeded in dropping all weapons on target. During egress, Lieutenant Pate encountered a line of thunderstorms and heavy enemy defenses necessitating an aerial refueling in mid air to safely out-maneuver these obstacles and complete his return to his ship. His heroic actions, professional airmanship, and fearless devotion to duty in the face of grave personal risk were in keeping with the highest traditions of the United States Naval Service. The President of the United States of America takes pleasure in presenting the Navy Cross to Lieutenant Commander Gerald Winston Rogers (NSN: 0-624201), United States Navy, for extraordinary heroism on 30 March 1968 as a pilot in Attack Squadron ONE HUNDRED SIXTY-FIVE (VA-165), embarked in U.S.S. RANGER (CVA-61). Lieutenant Commander Rogers was the Pilot of a daring, single-airplane, night attack against the heavily defended and vital Hanoi port facility in North Vietnam. Although his aircraft developed difficulty with the inertial navigation system, Lieutenant Commander Rogers pressed on to the target at an extremely low altitude and high speed in instrument flight conditions. He successfully evaded four surface-to-air missiles, intense radar-directed 57 and 85 millimeter anti-aircraft fire, and constant tracking and barrage automatic-weapons fire to drop a devastating string of bombs on target. During retirement from the target area, he encountered heavy automatic-weapons fire necessitating further evasive maneuvers. Due to his low fuel state following these maneuvers, he had to rendezvous with the tanker and refuel in order to complete his recovery. Lieutenant Commander Rogers' heroic actions, professional airmanship, and fearless devotion to duty in the face of grave personal danger were in keeping with the highest traditions of the United States Naval Service. The President of the United States of America takes pleasure in presenting the Navy Cross to Lieutenant, Junior Grade Brian Edward Westin (NSN: 0-666503), United States Naval (Reserve), for extraordinary heroism on 27 April 1966 while serving as a Bombardier/Navigator in Attack Squadron EIGHTY-FIVE (VA-85) during a combat mission over North Vietnam. When his pilot was seriously wounded and partially incapacitated during a daylight bombing run, Lieutenant, Junior Grade, Westin, by calmly coaxing and physically assisting him in the control of the aircraft, succeeded in reaching the open sea where he made sure that the semiconscious pilot ejected safely before he, himself, exited the plane. The first to be picked up by rescue helicopter, Lieutenant, Junior Grade, Westin directed the crew to the estimated position of his pilot. When the latter was unable to enter the rescue sling because of his injuries, Lieutenant, Junior Grade, Westin re-entered the water to assist him despite the fact that a shark was spotted near the bleeding victim. Following the rescue of the pilot, and before his own retrieval, the hoisting device aboard the helicopter malfunctioned. Realizing the urgency of immediate medical attention for the now unconscious pilot, Lieutenant, Junior Grade, Westin waved the helicopter off and remained in the shark-infested water until the arrival of a second rescue helicopter five minutes later. Through his quick thinking, cool courage, and selflessness in the face of grave personal risk, he was directly responsible for saving the life of his pilot. His heroic efforts were in keeping with the highest traditions of the United States Naval Service. The President of the United States of America takes pleasure in presenting the Navy Cross to Commander Jerrold Matthew Zacharias (NSN: 0-555252), United States Navy, for extraordinary heroism on 24 February 1968 as a pilot in Attack Squadron SEVENTY-FIVE (VA-75), embarked in U.S.S. KITTY HAWK (CVA-63), and launched from U.S.S. ENTERPRISE (CVA(N)-65) in a joint attack with Attack Squadron THIRTY FIVE (VA-35). Commander Zacharias participated in a coordinated, night, low-level strike against the heavily defended port facilities within the city of Hanoi, North Vietnam. Soon after launching, he developed serious systems difficulties in his aircraft. Through the professionalism and determination of Commander Zacharias and his bombardier/navigator, this discrepancy was overcome and they rejoined the flight to continue the attack. En route to, and in the target area, extremely heavy and accurate anti-aircraft fire was encountered and the aircraft received a hit in the left wing. Notwithstanding this battle damage, Commander Zacharias aggressively piloted his aircraft to the target through multiple surface-to-air missile attacks which he successfully evaded through extremely low-altitude maneuvering. He then delivered his ordnance directly on the target area. During egress from the target area, he again came under an intense attack from surface-to-air missiles and was forced to maneuver violently at very low altitude. One missile was seen to explode aft and below his aircraft, buffeting it violently. By his daring action, exceptional skill, and loyal devotion to duty in the face of intense enemy opposition, Commander Zacharias upheld the highest traditions of the United States Naval Service.